BOOK BLURB: The book is about the future of recruitment industry. Recruitment is a crucial part of the success of any organisation. Be it a for-profit or non-profit organisation. Now, with the advent of the internet, the recruitment industry is changing. Because consumer preference is changing, the process of human resource assessing and hiring is changing at a lightning speed. Everything in India is changing and so is the recruitment industry. No doubt, social networks offer a powerful tool for recruiters to reach a pool of relevant candidates that recruiters might not otherwise be able to reach through conventional recruiting models. This book covers all aspects related to social recruiting on social platforms. This book provide readers with a detailed information on how can companies connect with the potential candidates at social level. Social Recruiters is a must-read for all those who wants to hire people for their growing business. 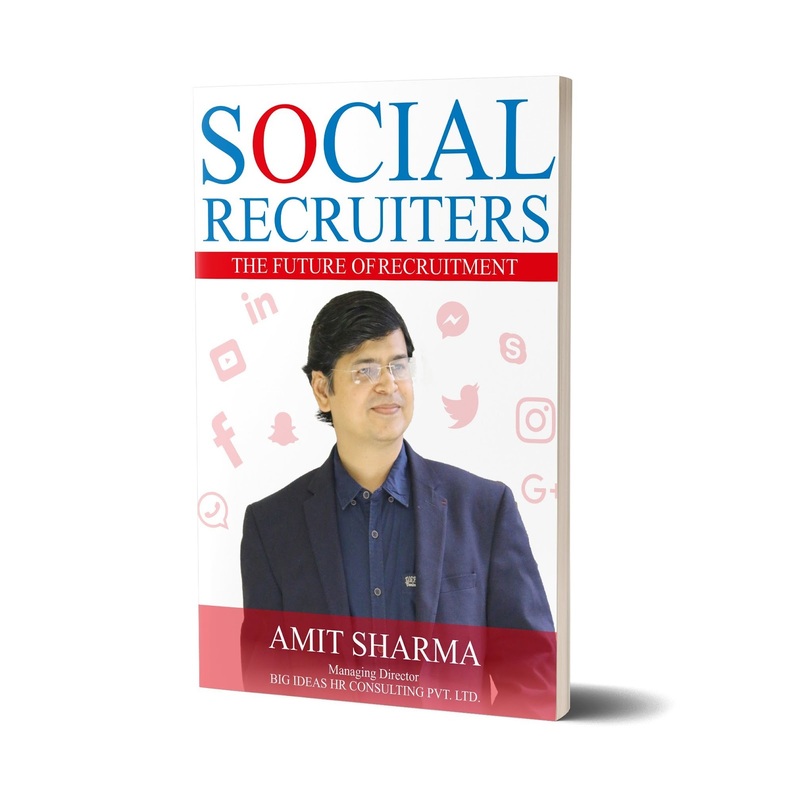 Through the book Social Recruiters, Author Amit Sharma have shared his thoughts on the future of recruitment. The books starts with some information on how Social Recruitment has evolved through ages. It talks about the qualities & skills which are required in a successful Social Recruiter and specially the out-of-the box thinking of a Social Recruiter. Author explains how companies don't call anyone for interviews, social media channels do all this work of hiring talents online. I found the information provided by Author in this book, very informative and facts driven. We can say that in the world of social recruiting, change is the only constant. Author says, Social Recruitment is another strategy we can use to find the best candidates but it is not the complete solution. This must complement your other recruiting programs too. So Recruiters must examine the overall recruiting strategy. Recruiters must educate themselves, establish their plan and begin engaging with potential candidates, and then they can dramatically improve their recruiting results through social networks. The language is simple and easy to understand. The cover is attractive as we can see all the logos of all our favourite social media platforms like LinkedIn, Facebook, Twitter, Skype, Instagram, Google+, Youtube. The title of the book is apt too. I would recommend this book to all the recruiters as this book will surely advice and help them in the recruitment process. 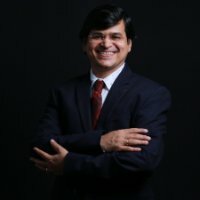 Amit Sharma is M.D. of India's # Equal Partnership Company BIG IDEAS HR CONSULTING PVT. LTD. He is a 1st generation serial entrepreneur. he has many avatars: He is a veteran of the recruitment industry, a businessman and life coach, a social activist, an author and an angel investor.His focus is in Recruitment Industry, HR Consulting, and Social Media Technology Space. He is an Angel Investor in four companies: Big Ideas HR Consulting Pvt. Ltd., Big Social Media Recruitment Pvt. Ltd., BSM Big Social Media Pvt. Ltd. and Big Leadership Hiring. His companies have all India presence as well as global presence in the United Kingdom and Canada.